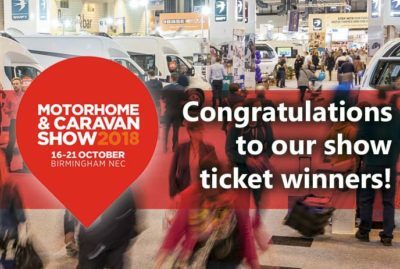 We can now reveal who’s won tickets to the 2018 Motorhome and Caravan Show at Birmingham’s NEC this month after our recent giveaway competition. Thanks to the thousands who entered for a chance to win a pair of tickets to the show from Tuesday 16th October to Sunday 22nd October. There’s plenty to see at the 2018 Motorhome and Caravan Show, including the latest tourers, motorhomes, trailer tents, and folding campers from the UK’s and Europe’s top manufacturers, as well as live demonstrations in the Discovery Theatre. 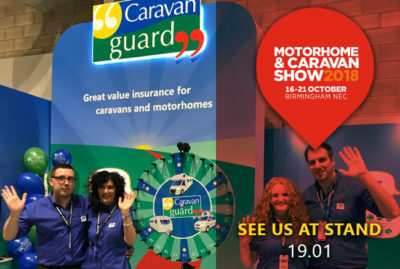 Plus, our team of friendly caravan and motorhome insurance advisers will be in Hall 19 on stand 19-01, with information about our show discounts as well giving show-goers the chance to win a prize in our spin the wheel game. Find out what we’rhttp://www.ccmshow.co.uke up to at the show by following us on Twitter or liking our Facebook page. For more information about the show visit mcshow.co.uk.